Do you long to find work you love… work that inspires you, feels worthwhile and fulfils your potential? If you are feeling stuck, unhappy or unfulfilled at work, then it’s time to make a change. Discover what really motivates and matters to you, where your skills and strengths are, and where you want to go next in your working life. Find the clarity you need to move confidently into a job you love. Or decide if it’s time to start your own business or work from home. Or take a step up in your current career by developing your leadership skills and your confidence. Career coaching helps you to get unstuck, get inspired and move forward. Why spend more precious time in the wrong job? You only need to take one small step to start changing your life. 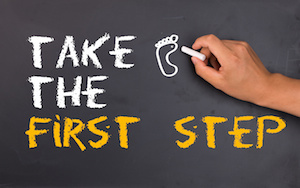 Take your first step now and book a free career coaching consultation. This is an informal conversation over the phone. Once you email me to book, I will get back in touch to arrange a date to suit you. To book now, please click the button below and email me with a sentence or two about why you are considering career coaching.